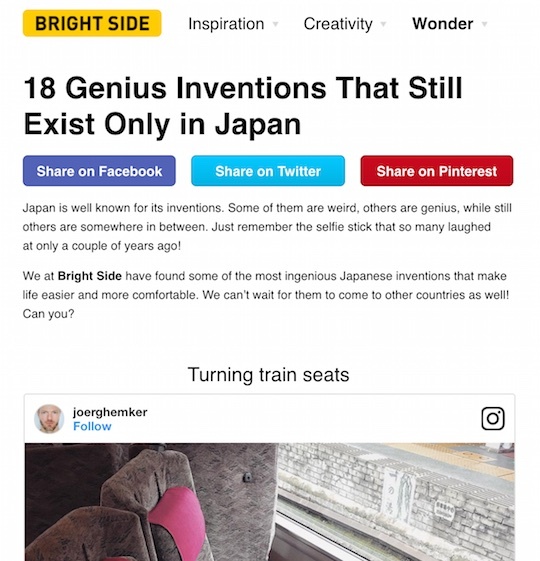 Bright Side included three of our products in a list of "18 Genius Inventions That Still Exist Only in Japan." As they say, "Japan is well known for its inventions. Some of them are weird, others are genius, while still others are somewhere in between." They featured the Kunekune Lying Down Tablet Stand, Utaet Voice Training Silent Karaoke Mic, and Utsubusene Cushion 2.